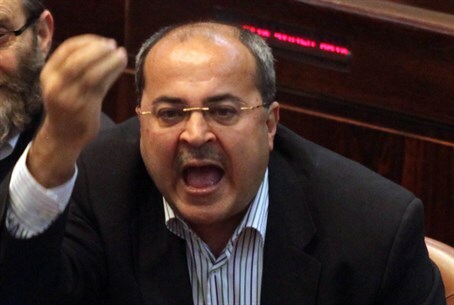 MK Ahmed Tibi (Raam Taal) accused students of killing Arab children, had to be escorted to safety. MK Ahmed Tibi had to be whisked away to safety after he enraged an audience at Bar Ilan University with provocative comments. Tibi appeared before the students along with MK Aryeh Eldad (Otzma Leyisrael). One student told Arutz Sheva Tibi should never have been allowed into the campus. "Tibi was adviser to arch-terrorist Arafat who is responsible for the deaths of thousands of Jews. A person like that has no place in the university."